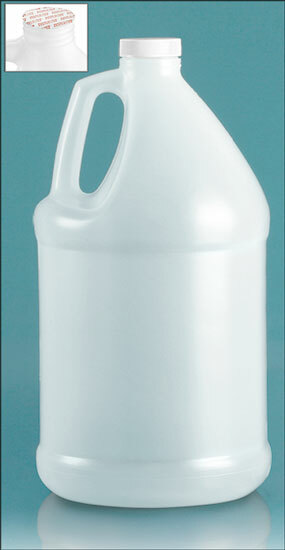 These natural HDPE plastic jugs have a round handle and include white ribbed induction lined caps. The plastic caps feature printed induction liners that read "Sealed for your Protection." These caps must be applied with an induction cap sealing system such as our Enercon Super Seal Jr. 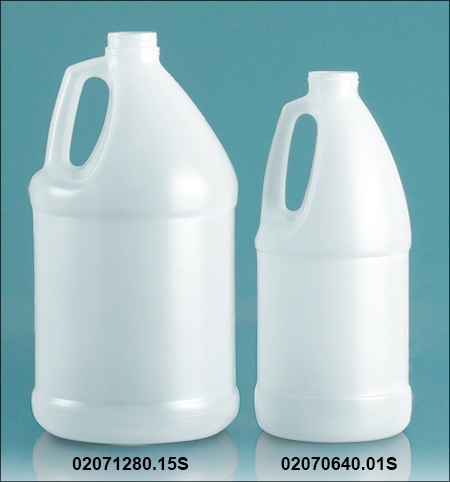 These plastic jugs could be ideal for packaging industrial products, chemicals, cleaning solutions and more. Be sure to test your product with the bottle and closure for proper compatibility.